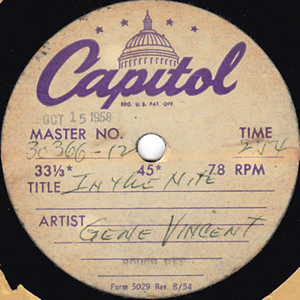 This 45rpm “Rough Ref” pressing labelled In The Nite, lasting 2 minutes 54 seconds, contains the full master take of The Night Is So Lonely recorded on 15 October 1958. 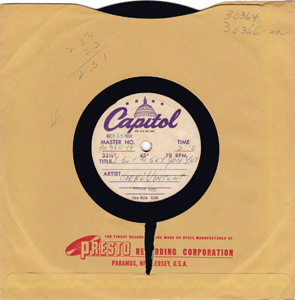 The pressing identifies the take as #12. The guitar break on this take was heavily edited by producer Ken Nelson for the issued 2 minutes 28 seconds master.